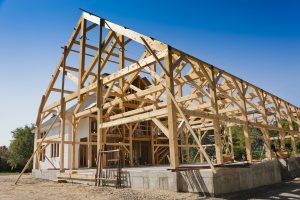 When choosing to build a new home depending on house plan options. You might consider hiring a General Contractor, who manages all aspects of a project, including hiring and supervising subcontractors, getting building permits, and scheduling inspections or a specialty contractor, who installs particular products like cabinets and bathroom fixtures. An architect who designs homes, additions, and major renovations especially ones involving structural changes. Designer or design/build contractor, who provides both services. Make sure you get referrals and go look at the Contractors projects. Also ask friends or family who’ve used a contractor If you can, take a look at the work done and ask about their experience. Look at reviews of any online to check the contractors reputation. Find out how long they’ve been in business and check credentials. Make sure to get estimates. Once you’ve narrowed your options, get written estimates from several contractors. Don’t ever automatically choose the lowest bidder. Ask for an explanation to see if there’s a reason for the difference in price. Ask Questions How many projects like mine have you completed in the last year? Lower bids generally come in less just to “get the job.” Then throughout the course there will be change orders and upgrades that cost. On lower bids pricing generally are given or basic materials. For example, they paint all one color and you want 3 tone color like their model home, well that is going to cost more. Also they gav a bid of light carpet pad and you want heavier and thicker, well that is extra too. So ask questions and have the contractor break down his costs. Good Contractors will work with you and your budget. They will give you options on product comparison. 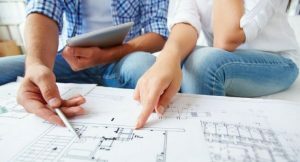 Ask for a list so you can see how familiar the contractor is with your type of house plans. A contractor should be able to give you names, addresses, and phone numbers of at least three clients with projects like yours. Ask each client how long ago the project was and whether it was completed on time. Was the client satisfied? Were there any unexpected costs? Did workers show up on time and clean up after finishing the job? You also could tell the contractor that you’d like to visit jobs in progress. When you have made your choice don’t fork over cash, make payments during the project upon completion of defined amounts of work. Draw up a contract with the contractor’s name, address, phone, and license number. get an estimated start and completion date. The payment schedule for the contractor, subcontractors, and supplier. The contractor’s obligation to get all necessary permits How change orders are handled. ( A change order is a written authorization to the contractor to make a change or addition to the work described in the original contract, and could affect the project’s cost and schedule.) A detailed list of all materials including each product’s color, model, size, and brand. If some materials will be chosen later, the contract should say who’s responsible for choosing each item and how much money is budgeted for it (this is also known as the “allowance”). information about warranties covering materials and workmanship, with names and addresses of who is honoring them — the contractor, distributor, or manufacturer. The length of the warranty period and any limitations also should be spelled out. what the contractor will and won’t do. For example, is site clean-up and trash hauling included in the price? Ask for a “broom clause” that makes the contractor responsible for all clean-up work, including spills and stains. Any promises made during conversations or calls. If they don’t remember, you may be out of luck or charged extra. A written statement of your right to cancel the contract within three business days. When you have found your Contractor keep good records keep all paperwork related to your project in one place. Including copies of the contract change orders any correspondence with your home improvement professionals a record of payments. You may need receipts for tax purposes. Keep a log of all phone calls, conversations, and activities. You also might want to take photographs as the job progresses. These records are especially important if you have problems with your project during or after construction. Only make the final payment or sign an affidavit of final release until you’re satisfied. After being satisfied with the work, you also need to know that subcontractors and suppliers have been paid of not they could file a mechanic’s lien against your home to satisfy their unpaid bills, forcing you to sell your home to pay them. Protect yourself by asking the contractor, and every subcontractor and supplier, for a lien release or lien waiver also a Title and Escrow Company will handle that prior to closing. It is best to have a Checklist. It can be overwhelming to try to remember everything. Last thing before you sign and make the final payment, check that all work meets the standards spelled out in the contract you have written warranties for materials and workmanship you have proof that all subcontractors and suppliers have been paid the job site has been cleaned up and cleared of excess materials, tools, and equipment you have inspected and approved the completed work. If all has passed your checklist then you are ready to schedule a closing with your local Title and Escrow Company. Congrats on your new Home.